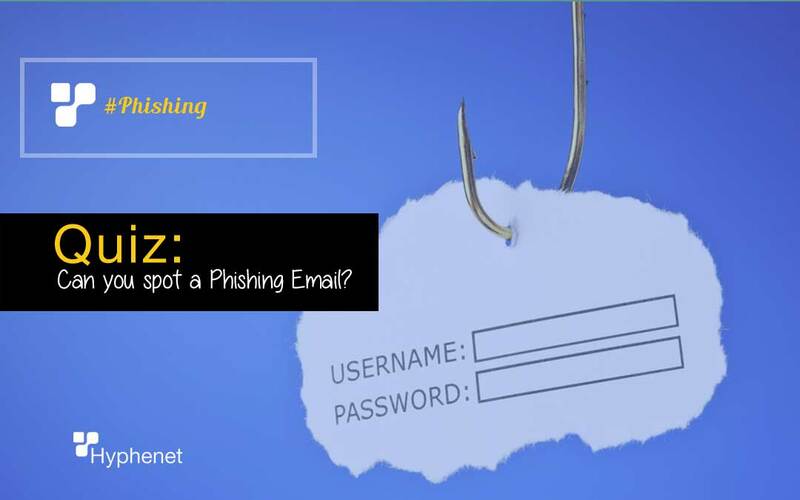 Quiz: Can you spot a Phishing Email? 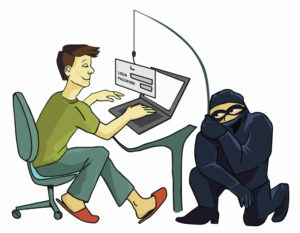 Phishing emails can trick you into downloading software or clicking on fake links. Phishing emails can even lead to data breaches and even expose your company’s data. Take this phishing email quiz to see how good you are at spotting phishing emails. 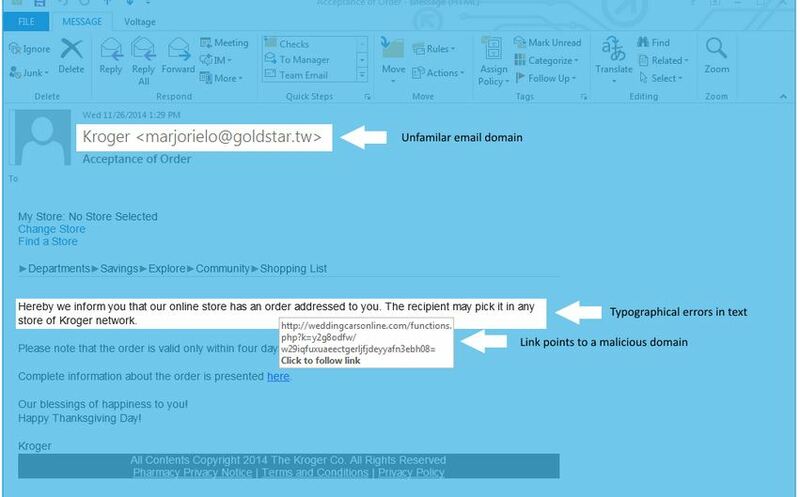 Here’s seven examples of emails that are either phishing emails or legitimate emails, you be the judge! Test yourself now! Some of these emails look very believable, but take a closer look! Answers are listed on the bottom! Let’s see how you did on this phishing email quiz. 1. 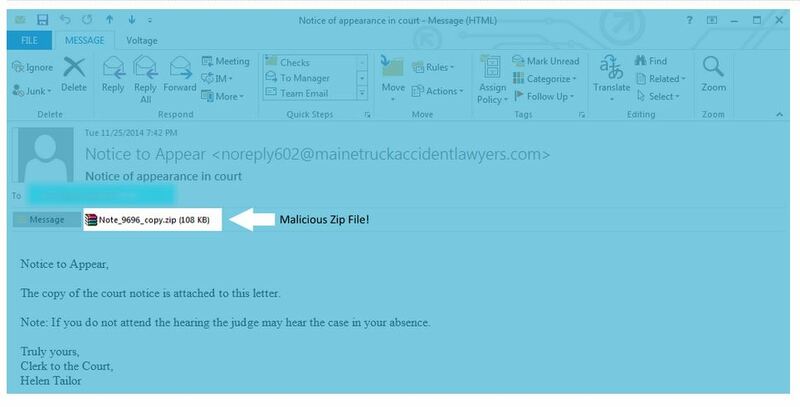 Notice to appear in court – A phishing email – Be wary of unsolicited emails especially if they contain attachments! The sender is trying to get you to load the file onto your computer. Don’t do it!! 2. 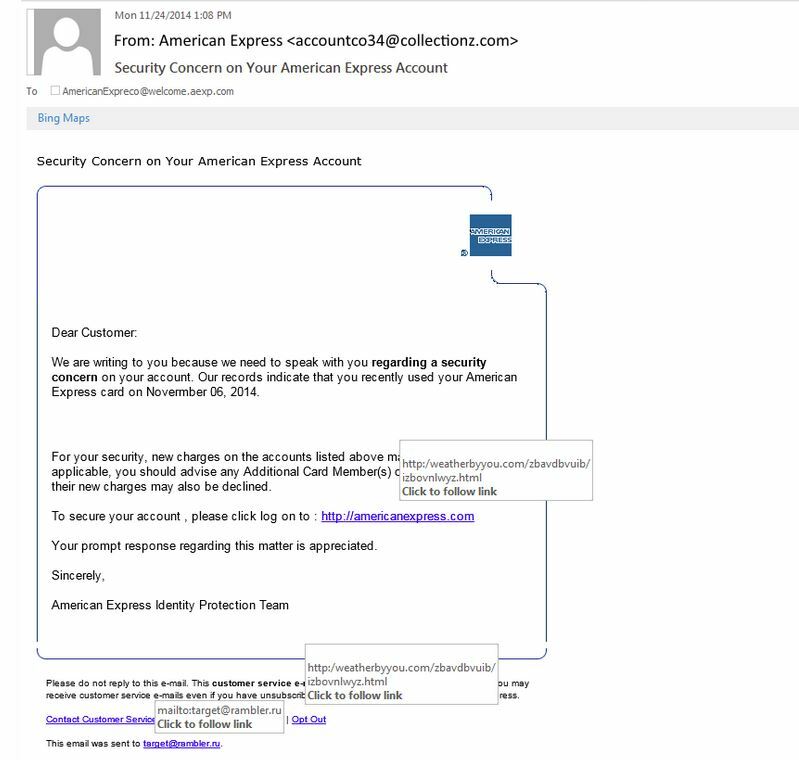 American express- A phishing email – This email is a classic example of a phishing email! Take a look at the From address. This email did not come from American Express. Now take a look at where the links go – they will take you to weatherbyyou.com which is certainly not American Express. The best thing you can do with this email is click the delete key! 3. 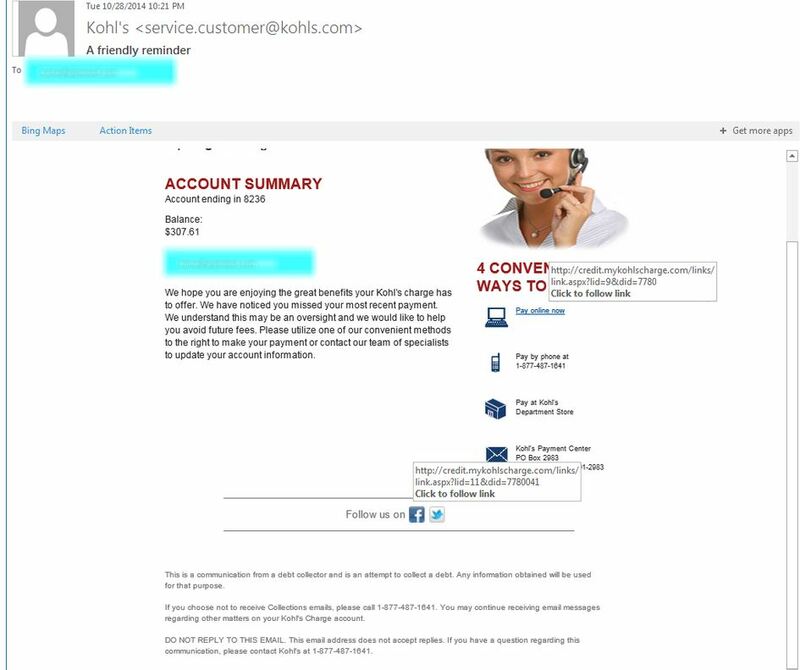 Kohls – A legitimate email – This is a legitimate email from Kohls. 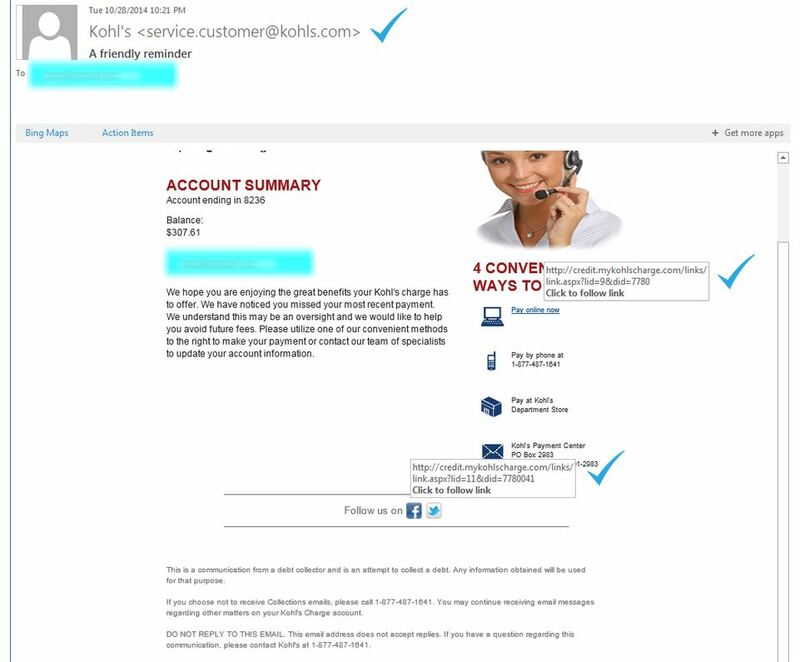 The sender address matches kohls.com. The Pay online now link is a little tricky. Instead of bringing you to kohls.com it brings you to mykohlscharge.com. When in doubt, don’t click on the link in the email but instead go directly to the website and log in from there. 4. 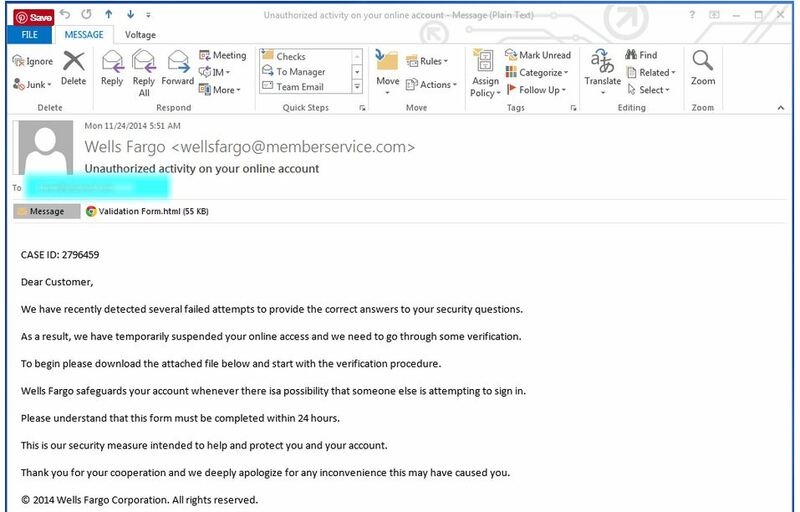 Wells Fargo – A phishing email – This is a phishing email. One dead giveaway is that the email is addressed to: Dear Customer. Cybercriminals use generic greetings because they may not know your name and by using generic greetings that can send out thousands, hundreds of thousands or millions of emails. There should be no reason a company is asking you to install or download software. This is another red flag that the email may be from a cybercriminal. Run, don’t walk to the delete key! 5. LinkedIn – A legitimate email –This is a legitimate email from LinkedIn. The email is personalized so most likely it is not part of a mass phishing email. 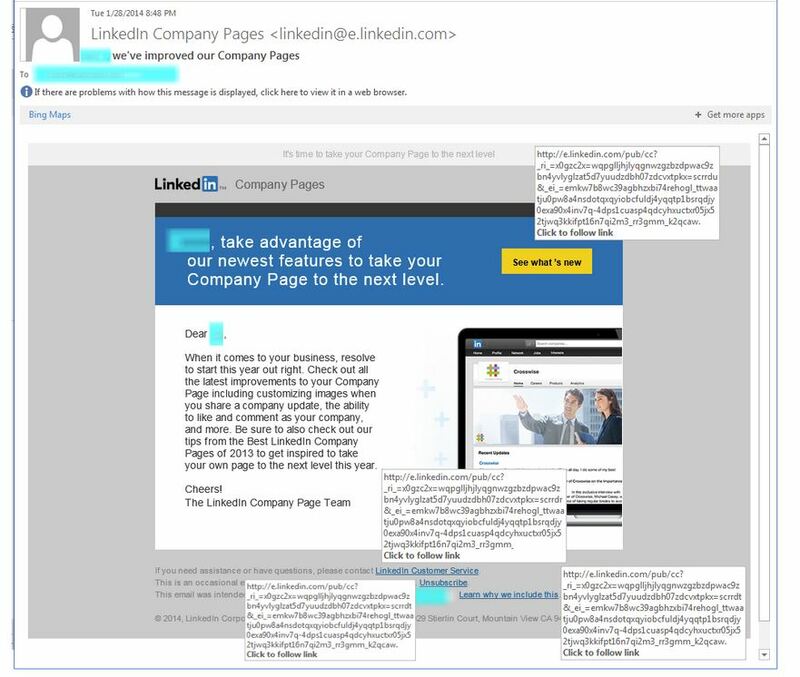 Companies will often use tracking tools for marketing purposes, so don’t be fooled by the length of the URL associated with the links in this email. But be careful! 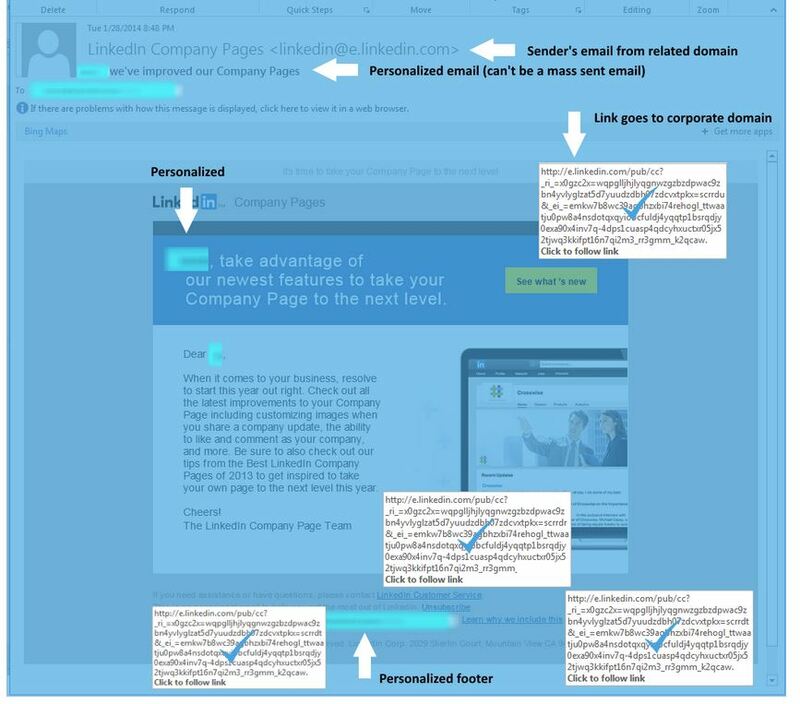 Cybercriminals are using personalized emails to catch a victim. 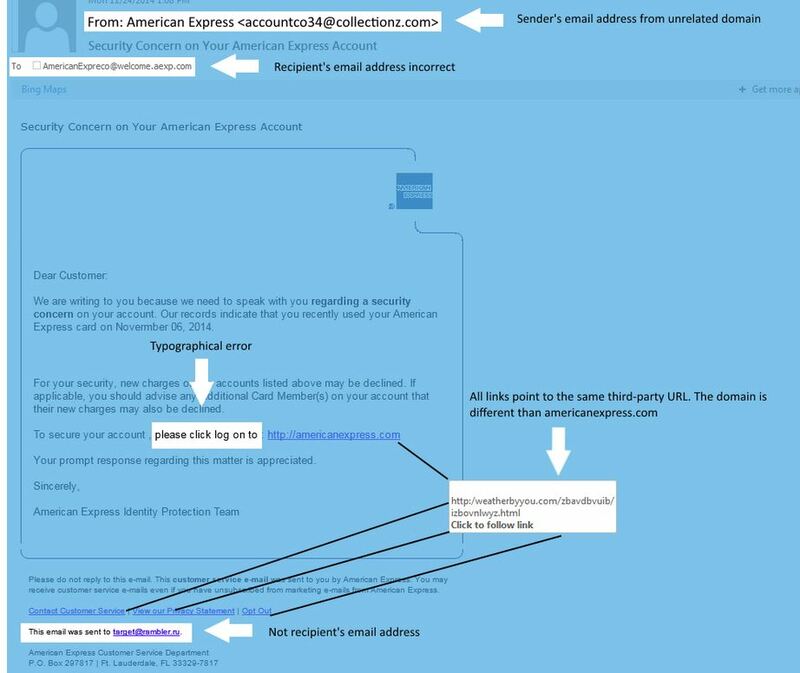 These personalized emails are called Spear Phishing and they target individuals. 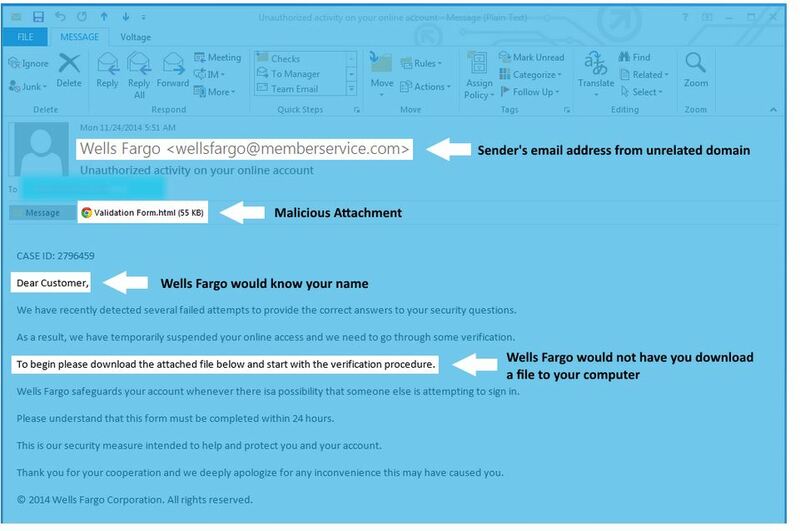 A cybercriminal may have obtained your name, email address and other personal information and may craft a very realistic email in hopes that you will click on a fake link or download a malicious file. Unfortunately, it is getting harder and harder to spot phishing emails from legitimate emails. 6. 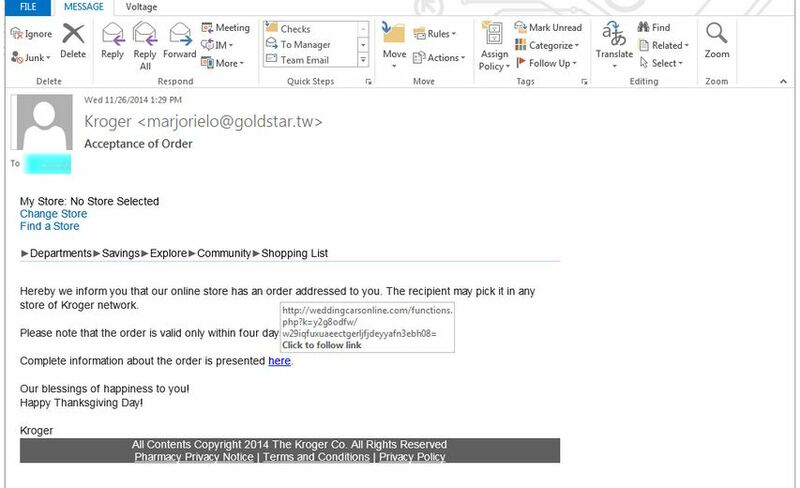 Kroger – A phishing email – This was an easy one! Take a look at who sent the email: marjorielo@goldstar.tw!? Dead giveaway. The text has typographical errors that you normally don’t see in an email from a large company. And another giveaway is the link sending you to a malicious website. 7. 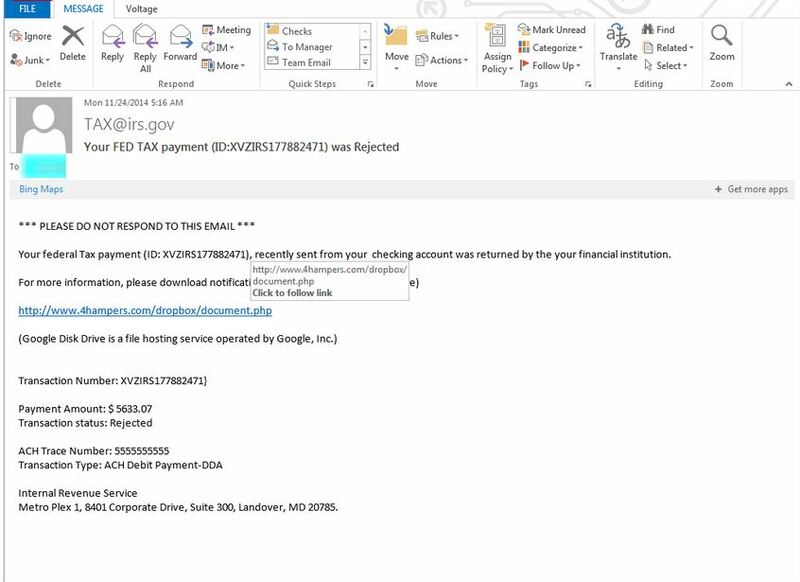 IRS – A phishing email – This email looks like it is coming from the IRS. 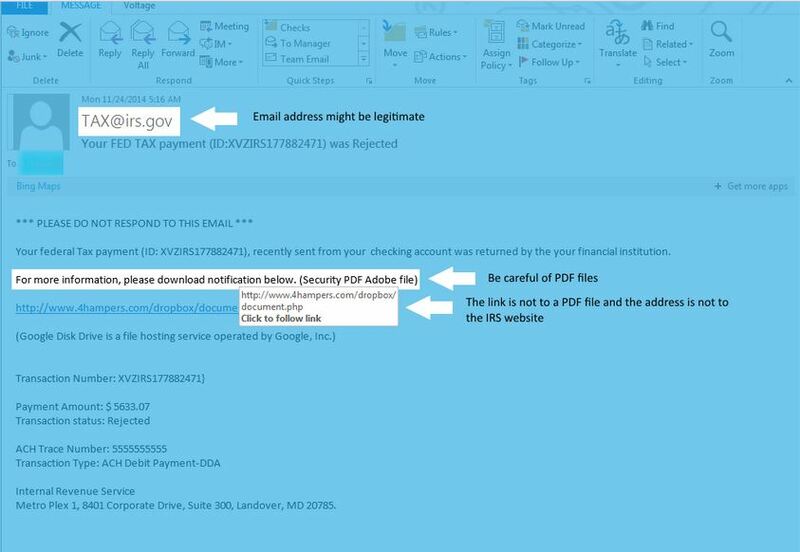 The email address matches irs.gov. But in the body of the email, you are asked to download a PDF file with the IRS notification. That is the first red flag that this might be a phishing email. The link provided to download the PDF is clearly a malicious link. www.4hampers.com obviously is not the IRS website and a closer look has you linking to document.php which is not a PDF file. Getting a notification from the IRS is scary enough but this email may be more frightening! Thanks for taking the phishing email quiz.